Today businesses and organizations are under unprecedented pressure to exceed expectations while working with dramatically decreased resources. It falls on the shoulders of managers to make this happen smoothly and successfully. Now your team can get the solid ideas and training they need to lead with distinction, view no matter how difficult the challenges. Whether you are leading a small team or the entire company, you will learn the methods and concepts that will help you more easily deal with the demands of each day. Learn powerful leadership techniques and important conflict resolution strategies. Your decision making becomes more adept and your supervision skills are greatly enhanced. Our expert facilitation skills can help you accomplish your goals, build better team cohesion, and flush out creativity and innovation like never before. 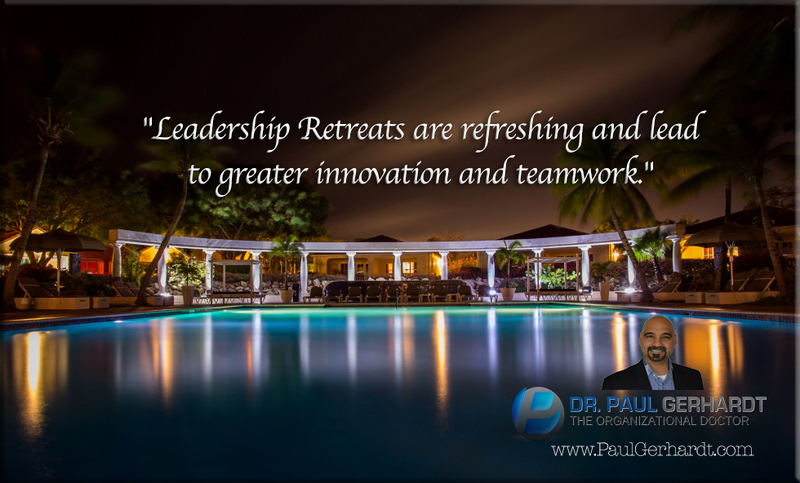 Your leadership retreat can be custom designed to meet your goals, work on the skills most needed, and deliver the most meaningful experience. We are flexible on location and can hold your retreats at a place best for you. Please contact us for your no-obligation discussion of how we can create highly beneficial management retreats for your organization. Give your leaders and team members the inspired training they need to excel.